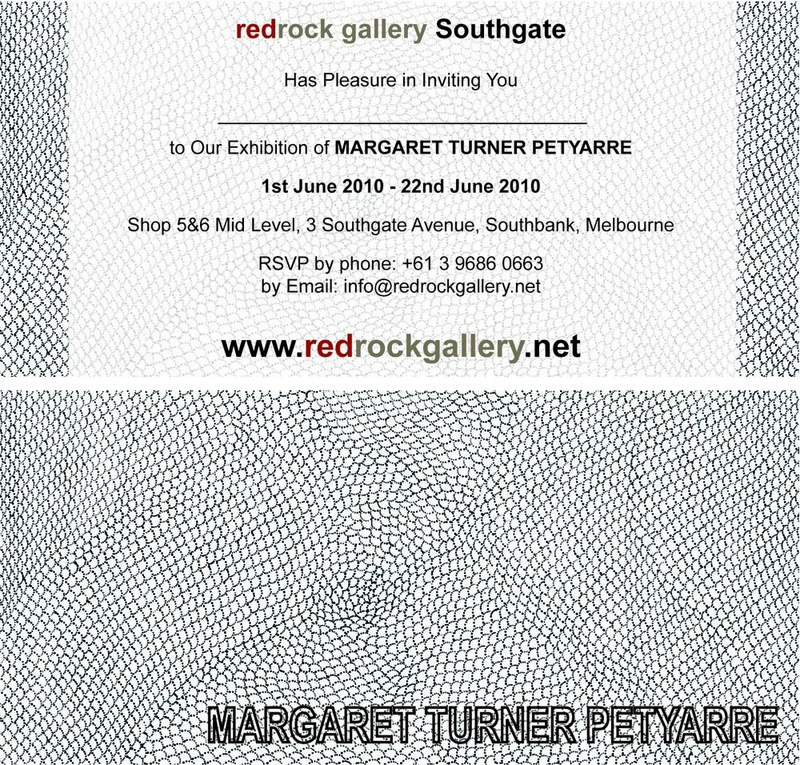 redrock gallery Southgate presents ‘Margaret Turner Petyarre Exhibition’ to be held on the 1st Jun – 29thMay 2010. 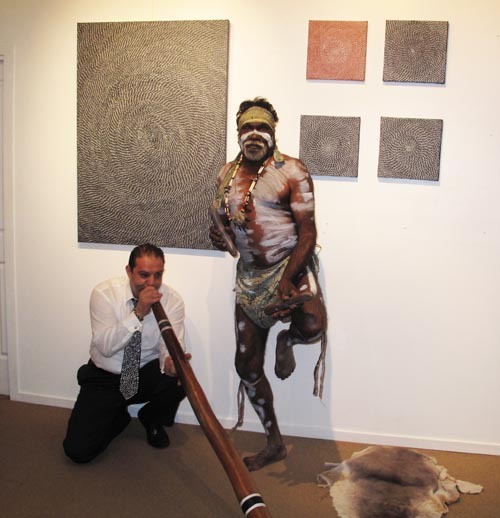 Born at Lake Nash, near the Queensland border, Margaret was a full blooded Aboriginal of the Alyawarre Tribe, located in the Northern Territory of Australia. In her latter years Margaret lived in Arlparra in the Utopia Region, north east of Alice Springs. Sharing a common Grandmother, Margaret is a cousin to the highly regarded artists Kathleen and Gloria Petyarre (I had first met Gloria around 1997 and continue to have an exceptional relationship till this date). Like so many of her Utopian contemporaries, Margaret worked in batiks for many years. In 1988 Margaret was one of the artists involved with the widely publicized Summer Batik Project, the exhibits are held in the Robert Holmes à Court Collection. 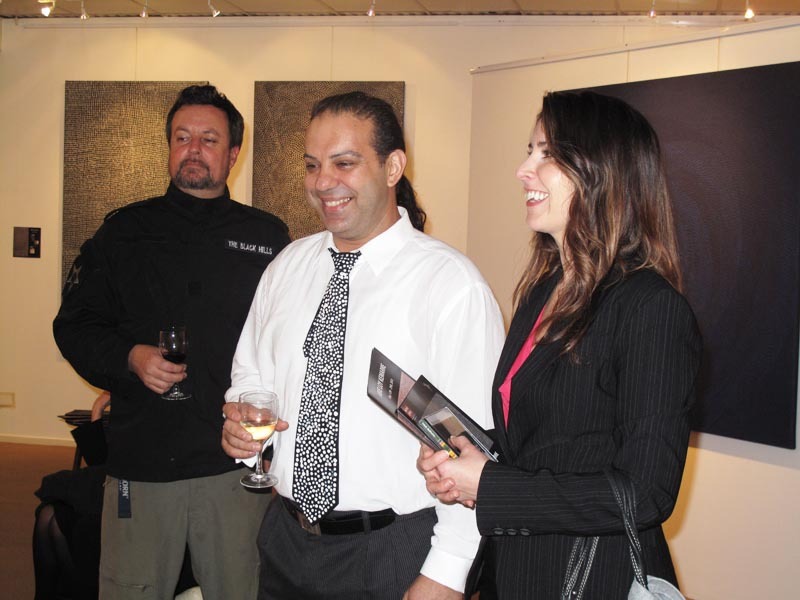 She was also selected as a finalist for the 2001 Australian Business Arts Foundation awards. Soon after, Margaret began translating her talents into painting, using acrylics on canvas. She had developed her technique under the guidance of numerous members of the Petyarre family. In her depiction of traditional stories she has moved from the fine dotting technique employed in her batik work and developed into the fashion of bold brush strokes of the early part of 2000’s before being encouraged to be different and create her own unique style perfecting her dotting into finer, minimalist elements. Her paintings include Body Paint, Bush Medicine and Bush Tucker, Wild Yam Dreaming, Wild Flower and Bush Orange (Women’s Ceremony). I had spent days and weeks at a time, over many years commissioning works from Margaret, and at times video recording her as well as photographing as she painted. I feel these amazingly intricate paintings reflect the enormity of her patience and artistic skills. Margaret’s cross cultural awareness processed a high level of patience which reflected her unique ability as an Artist. Margaret introduced a style that has never been seen or attempted before by any full blooded & traditional Aboriginal artist. 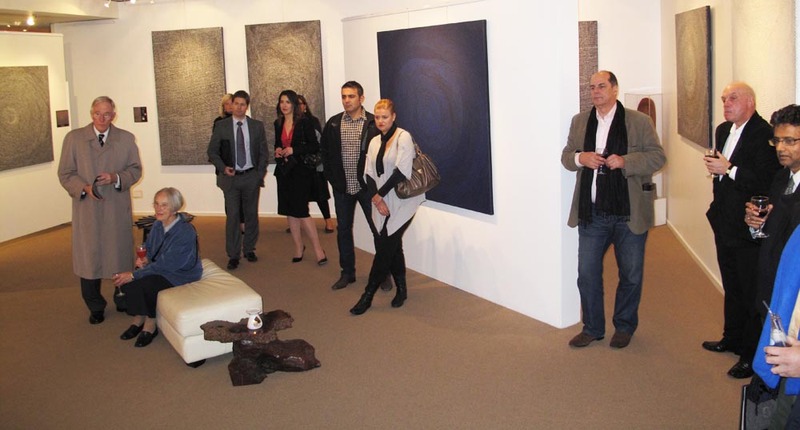 She became the pioneer of the finest and consistent, yet inconsistent, spiral style dotting artist I have ever seen to date, Her exceptional talent has taken aboriginal art to another level, paving the way for the next generation of contemporary Aboriginal artists. It was around late 2003 when Margaret and I first met. Having been introduced though Gloria Petyarre under unusual circumstances, I had initially declined to buy one of her simple body paint paintings, this ended in a heated disagreement caused by a misunderstanding. Four weeks later I returned to central Australia only to meet with Margaret again whiles commissioning a painting from Gloria, this time our encounter was far more diplomatic and welcoming. It was her assertiveness from our first introduction combined with her humble ability to welcome me back, her genuine warmth was well met with my apologies. This was the start of our incredible relationship which will last For Ever. Gloria had briefed me about Margaret and had express that she truly is a good person and continued to tell me that Margaret is her family. Because of our trusting relationship with Gloria, she has never hesitated to express to me her thoughts or knowledge about any person Aboriginal or Otherwise. They would be judged either as “good one” or “rubbish one”. With Margaret, Gloria pointed to her heart and expressed “good one”. As an act of good will, I offered to buy a painting from Margaret and she accepted my offer with no conditions. I later learnt that Margaret happen to be a senior women and highly respected in the Utopia community and was very pro active with her clan, particularly regarding initiations for women’s ceremony. She was also a member of the Utopia committee and an active member of an aboriginal women’s council in Alice Springs. Our relationship had grown by the day and so did our trust in one another. Such a traditional women with a genuine understanding with respect towards myself (white fella) our modern European culture. She was a very savvy yet extremely reserved woman. It wasn’t easy to have a conversation with Margaret in the beginning, her broken English was poor whiles her intuition was reasonably strong, she communicated only when she had a need too. As times passed we became closer and had spoken a great deal more ( in pigeon language). Some times I would sit with Margaret watching her paint without a word for hours at a time until one of us would get up and drift away without a word. Only to return to the surrounding sounds. We had built an telepathic and spiritual link, having known about each others emotions, feelings and thoughts without words. Thank You Margaret For Sharing Your Kindness & Good Spirit With Me and your Amazing Art with the rest of the world. Sadly Margaret Turner Petyarre passed away on the 28th July 2008. Paintings by Margaret Turner Petyarre have been widely exhibited and are represented in several State Galleries and International Collections.